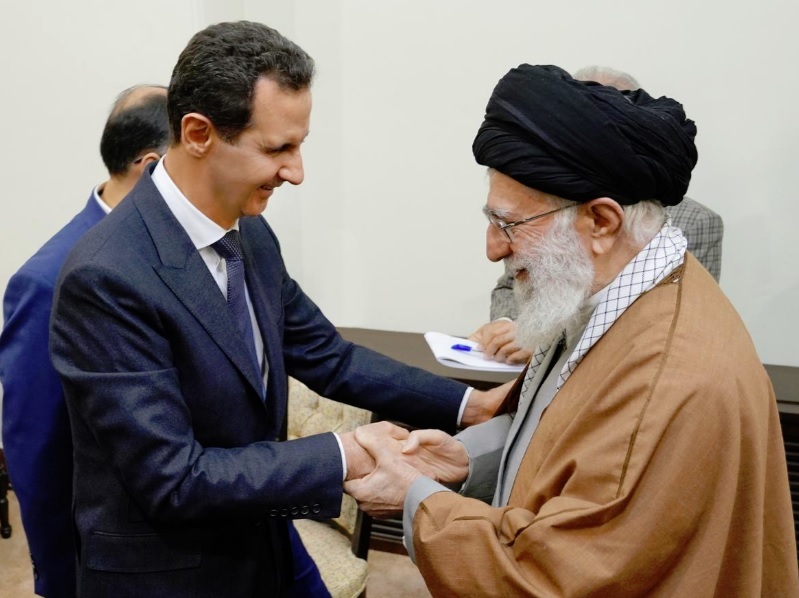 On Monday, Syrian President Bashar al Assad made his first public visit to his closest regional ally Iran since the start of Syria’s war in 2011. While there, he met Supreme Leader Ayatollah Ali Khamenei and the two reaffirmed their alliance, state media sourced reported. Syrian television said the two leaders agreed “to continue cooperation at all levels for the interests of the two friendly nations.” Assad was also briefed by Iranian President Hassan Rouhani about efforts by Russia, Iran and Turkey — supporters of the main sides in the Syrian civil war — to end the conflict. Iranian-backed militias have expanded their control over areas around Damascus as well as southern and eastern Syria. Iran’s growing influence in Syria, where it has struck economic and trade deals, has also raised the prospect of a military confrontation with its arch-enemy Israel. Meanwhile, also in Iran on Monday, Foreign Minister Javad Zarif announced his intention to step down from his post, which he has held since 2013, on Instagram. However, on Tuesday, President Hassan Rouhani rejected the resignation, according to the country’s semi-official Fars news agency. In the Instagram post, Zarif wrote, “I sincerely apologize for the incapacity to continue serving and all the shortcomings during the service,” Zarif wrote on Instagram, adding, “Be happy and upbeat.” In an interview with the semi-official ISNA news agency, Zarif said he hoped his sudden resignation would act as a “wake-up call for restoring the Foreign Ministry to its real and legal position in foreign affairs.” Zarif’s noticeable absence at a number of recent high-profile meetings, including the visit from Assad, appear to be the latest in a string of tensions between the moderate government of Rouhani and hardliners, which include the Revolutionary Guards, backed by Khamenei. Rouhani is required to accept the resignation in order for the move to go into effect, according to Iranian law. 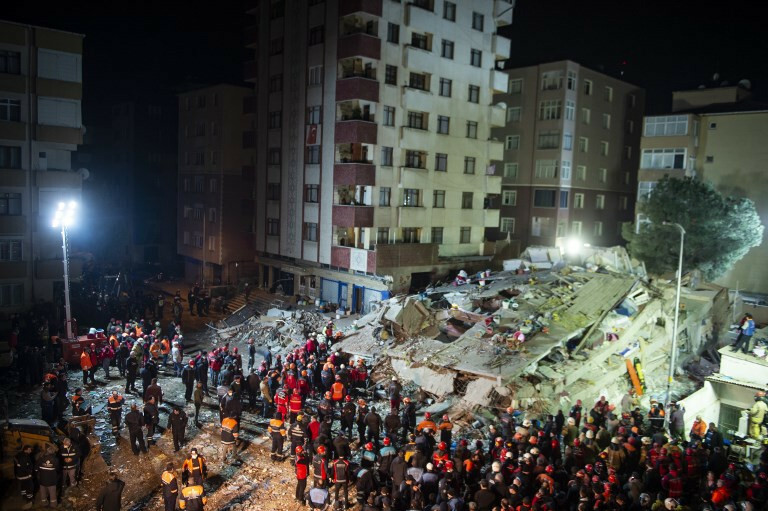 A Turkish government amnesty on unregistered construction work is endangering lives, engineers and architects warned after an illegally extended residential building collapsed in Istanbul and killed 21 people earlier in February. Three floors of an eight-story building were built illegally, but owners of the property were able to register it under the amnesty that has brought in billions of dollars of revenue for the government. Experts say the ruins of the building highlight the dangers of approving unregulated construction work in a city of 15 million people that is prone to earthquakes. Istanbul Chamber of Architects head Esin Koymen said the chamber had warned the government about the consequences of the amnesty bill when it was debated in parliament. “We told them to withdraw it. We said people will pay for this with their lives. But they did not listen,” she said, adding that the focus had been on the revenues it would generate rather than architectural, planning or engineering issues. Also on Thursday, United Nations investigators said Israeli security forces may have committed war crimes and crimes against humanity in killing 189 Palestinians and wounding more than 6,100 at weekly protests in Gaza last year. The independent panel said it had confidential information about those it believes to be responsible for the unlawful killings, including Israeli army snipers and commanders. It called on Israel to prosecute them. The victims included children, journalists, and a double amputee who was in a wheelchair. Israeli Prime Minister Benjamin Netanyahu rejected the report and accused the U.N. Human Rights Council, which launched the probe, of hypocrisy and lies fueled by “an obsessive hatred for Israel.” Protests at the border between Israel and the Gaza Strip began in March last year, with Gazans demanding Israel ease a blockade of the enclave and recognition of their right to return to lands their families fled or were forced from when Israel was founded in 1948. Finally, President Trump asserted on Thursday that the Islamic State group has lost 100 percent of the territory it once controlled in Syria, but U.S. officials in Washington and accounts from people in Syria said a sliver of land remains contested. Trump noted that ISIS had been on the verge of losing its entire so-called caliphate in Syria for many months: “Now it’s 100 percent we just took over, 100 percent. The area, the land, we just have 100 percent. We did that in a much shorter period of time than it was supposed to be.” Acting Defense Secretary Patrick Shanahan has characterized ISIS in Syria as on the brink of defeat, while cautioning that measures are required to prevent its revival and return to areas of Iraq and Syria that have been liberated since 2014.